These custom interior shutters were created for a child's room in a designer showhouse. The notched top and diamond cut-out give these shutters the feel of a castle. 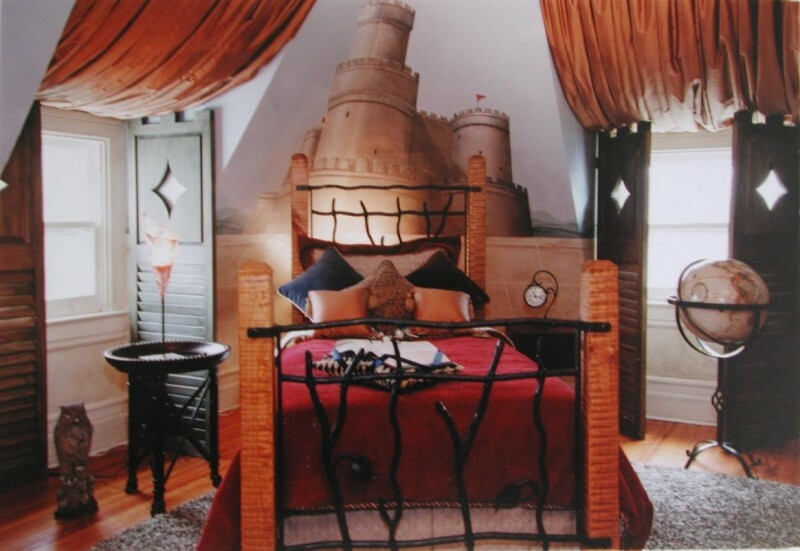 Just the thing if your looking to make a room straight out of Hogwarts.